LeadiD experienced strong growth in industry adoption, client base and revenue in 2013, as marketers seek more transparency and performance from their lead acquisition programs. The LeadiD platform now monitors over a 100 million lead transactions per month, an increase of over 340%. The firms revenue tripled over the course of the year supported by rapid adoption of over 350 publishers. Within the last few months, LeadiD has led innovation in the marketplace not only with LeadiD Audit, but also LeadiD TCPA and LeadiD Fraud Risk Plus solutions. Between November 2013 and February 2014 LeadiD helped publishers and advertisers mitigate risk by identifying over 120,000 noncompliant TCPA (Telephone Consumer Protection Act) leads, preventing them from being auto-dialed. Reliance on LeadiD solutions continues to grow across industries, with 90% market reach in Education and accelerating demand in the Mortgage, Insurance and Automotive verticals. Earlier this month, global automotive consulting firm Urban Science announced a partnership with LeadiD to provide Urban Science with verified lead origins and histories, allowing for more educated lead-buying decisions and, in turn, an increase in automotive dealership productivity and profitability. Join LeadiD at LeadsCon Las Vegas booth #137 this March to learn more about how LeadiD can help your organization. Founded in January 2011 by Ross Shanken, LeadiD is the only independent, neutral, open technology platform, which tracks the origin and history of every lead event that utilizes the LeadiD system. No supplier-proprietary data is exposed, but rather, LeadiD allows Lead Sellers and Lead Buyers to make real-time decisions based upon definitive origin and history flags that are predetermined. LeadiD fosters an environment of trust in the transaction, one where both Lead Sellers and Lead Buyers alike derive top-line value. 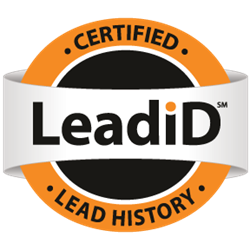 With unmatched data, LeadiD is the industry standard for authenticating lead origin and history and the authentication platform of choice for firms of all sizes. LeadiD’s presence at the source of a lead event has also positioned the company to add a TCPA solution to its product line that addresses the recently updated TCPA regulations. For more information, visit LeadiD.com or @LeadiD on Twitter.